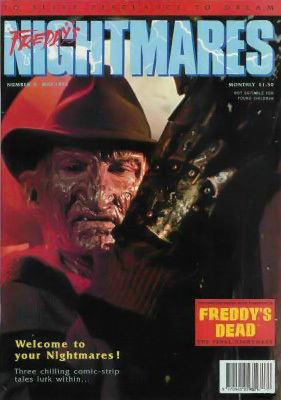 Now defunct Trident Comics collected and reprinted Freddy’s Dead: The Final Nightmare, Freddy Krueger’s A Nightmare on Elm Street, and Nightmares on Elm Street issues 1–2 in a four issue magazine-styled format in 1992 under the title Freddy’s Nightmares. 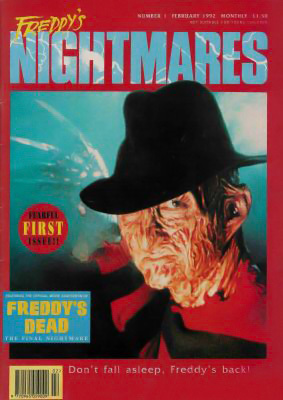 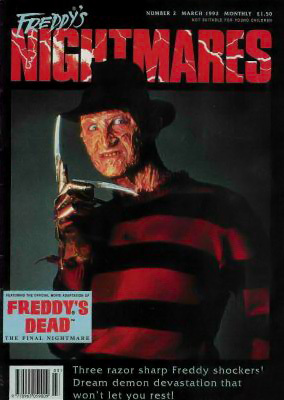 The selections from Freddy Krueger’s A Nightmare on Elm Street were published in black and white, and Freddy’s Dead: The Final Nightmare and Nightmares on Elm Street were published in full color. 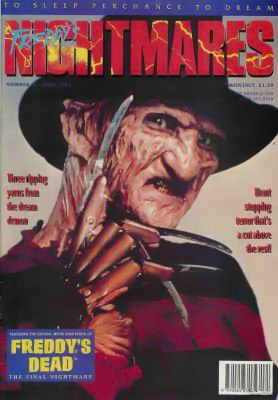 Trident Comics’ distribution was in the UK and an offshoot of the company Neptune Distribution.